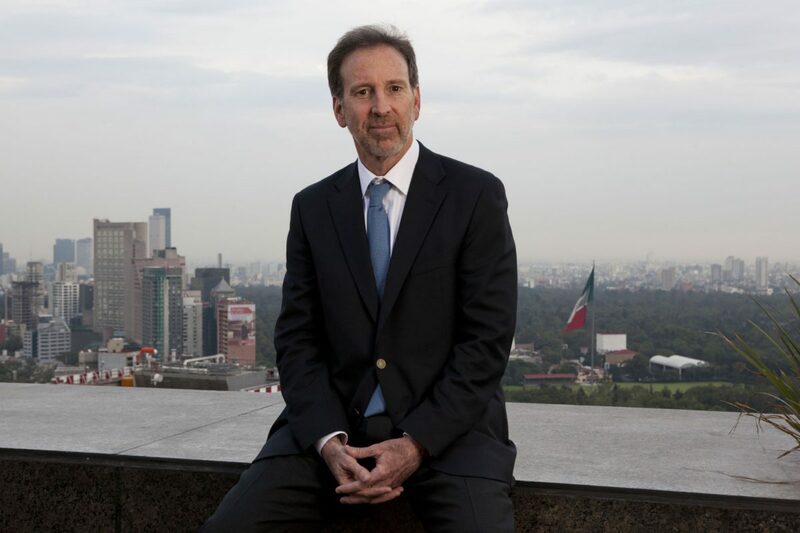 Antonio Garza is former U.S. ambassador to Mexico. Cecilio Pineda Brito was lying in a hammock when they shot and killed him. Miroslava Breach Velducea was taking her 14-year old son to school. Ricardo Monlui Cabrera was walking out of a restaurant after breakfast. Maximo Rodríguez was in a parking garage. Javier Valdez was dragged from his car in broad daylight. Jonathan Rodriguez was driving alongside his wife Sonia. Each case is a Mexican journalist killed over the past five months for the simple act of doing his or her job and seeking to bring a bit of light to the country’s darkest corners. The stories never cease to be shocking, representing not just a full-fledged assault on a profession, but an attack on the country’s rule of law. With every gunshot, criminals extinguish the voices that Mexico needs most for accountability, and seek to silence those that remain. Since 1992, at least 41 journalists have been killed in Mexico for their work, another 50 have been murdered for unconfirmed motives, and hundreds more have been threatened or attacked. The threats are varied, coming from both organized criminal groups and government officials. And as the media goes silent, Mexico loses its channels to share citizens’ stories, push officials to keep promises, demand justice for bad actors, and inform a national audience about local realities. The high number of recent murders of Mexican journalists correlates to a renewed spike in violence. Homicides have begun to rise again, with the first four months of 2017 clocking in as the country’s most violent first yearly quarter on record. All the while, the rampant impunity for crimes against journalists, which gave rise to the rallying cry of “Justicia,” has remained unchanged for decades despite a sweeping judicial system reform. Achieving significant improvements in these two areas will undergird any future efforts to protect Mexico’s journalists. There have been some targeted efforts to improve protections for journalists, with the Mexican government launching a Special Prosecutor for Crimes against Freedom of Expression in 2009, and following up in 2012 with the Law for the Protection of Human Rights Defenders and Journalists. This law and the subsequent efforts to strengthen it have aimed to provide at-risk journalists with a greater police presence, panic buttons, and camera systems in their homes, among other measures. Currently, 196 journalists and 342 human rights defenders are being offered some form of protection under this program. However, even with these programs, journalists continue to be murdered in the streets and the Special Prosecutor has so far only achieved three convictions. Providing better protections for Mexico’s journalists and by extension defending the country’s rule of law won’t have any easy solutions. But it all starts by sitting down with journalists, hearing from them directly, and truly listening to their concerns and suggestions. Mexico’s civil society should continue to be vocal and unrelenting, and partner with multilateral organizations that are well suited to highlight crimes against journalists and ensure that they continue to receive high-level attention and pressure. 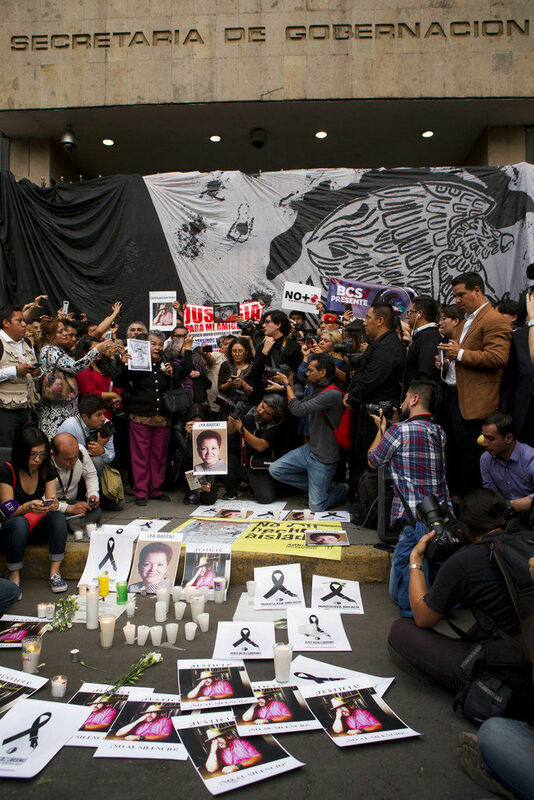 In the past weeks, Mexico’s journalism community has come together to support one another and doggedly continue to write where their murdered colleagues were forced to leave off. These are the writers and editors that prove that you cannot kill the truth merely by killing those who report it. Yet each murder endangers something broader and even more disturbing. The spreading silence is an attack on the country’s rule of law, quietly but continuously ripping at the very foundation of Mexico’s society and its democratic future. 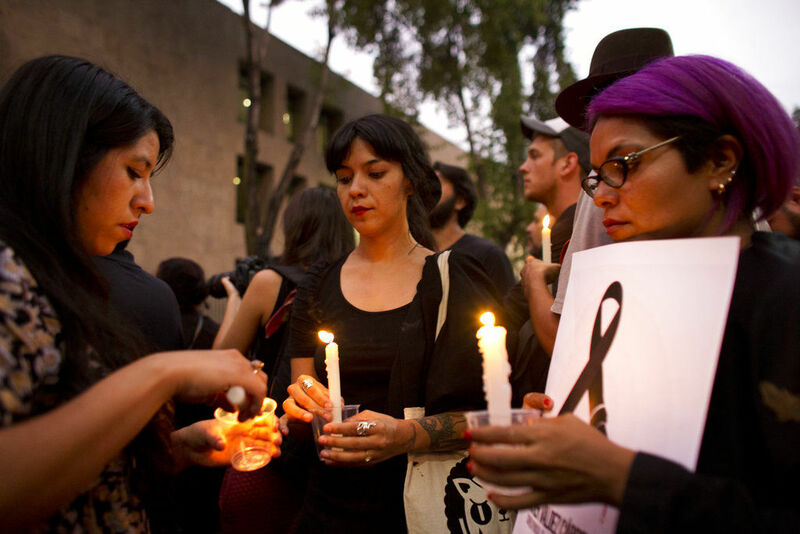 After each tragic death, Mexico’s national discourse is filled with an outpouring of passionate words, promises of change, and symbolic gestures. Yet, this hasn’t been and won’t be enough. Mexico’s officials need to commit to action when it comes to protecting journalists within their country. They need to embrace their professional responsibilities with the same passion and dedication that Mexican journalists bring to their jobs each and every day. This is the essence not only of good policy, but also of real leadership, presidential legacies, and the nation’s future.